An article released by The New York Times on September 8th has those involved in criminal justice for defendants across the country concerned. The article describes how witness warrants were not only misused, but harmed both defendants and the witnesses themselves. Material witness warrants are one of the most expansive powers provided to law enforcement. They allow police and prosecutors to force an individual to testify if they believe that that person has knowledge of a crime. They are typically handed out to individuals who are not under suspicion (unlike your typical subpoena); as those individuals simply contain information that law enforcement wants. As a result, strict rules govern material witness warrants: they are only supposed to be used in extraordinary circumstances (for example, if a prosecutor is concerned that an important witness might flee). They must also first be signed by judges, and these witnesses can only be arrested if they first ignore an order to appear in court. In those circumstances, they must also be provided with an attorney, and presented in front of a judge—in a hearing—in order to first determine what they know and why they are reluctant to reveal it due to the sometimes sensitive nature of these cases and the relevant, important information involved. However, court papers recently filed claim that some district attorney offices misused these warrants while pursuing prosecutions, and this harmed both the relevant defendants and witnesses involved. Accusations presented in the claims described some witnesses being unlawfully held in custody, as well as being coerced into providing testimony against a defendant and subsequently providing false accounts in court. 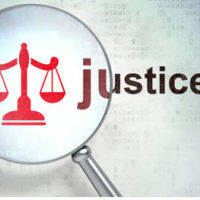 As part of this issue, it is important to note just how difficult, in general, it is to know how much abuse has been involved when it comes to material witnesses because the process, in its essence, occurs behind the scenes in the criminal justice system. There isn’t even a tracking system for how many material witnesses have gone before judges. However, one woman’s story encapsulates what could be happening on a regular basis to these individuals: After being mistakenly identified as a material witness, she was interrogated for nearly 10 hours at the district attorney’s office for two days in a row. She then proceeded to sue her interrogators for violating her due process rights. Although her case was initially dismissed because the judge found that her interrogators had prosecutorial immunity, the Appeals Court overturned the dismissal, indicating that not only did defendants not enjoy immunity (given the circumstances of her case), but that material witness warrants should never be used to authorize an arrest and justify prolonged detention for the purposes of conducting investigative interrogations. Given all of the potential abuse inherent in the criminal justice system, if you have been accused of a crime, it is absolutely necessary that you consult with an experienced criminal defense attorney as soon as possible. Contact the Baez Law Firm today to find out how we can help by providing you and your loved ones with a free consultation and the very best in criminal defense representation.